Copying a flow is useful when you'd like to create an exact duplicate of your flow or build off of an existing flow's structure. 1. 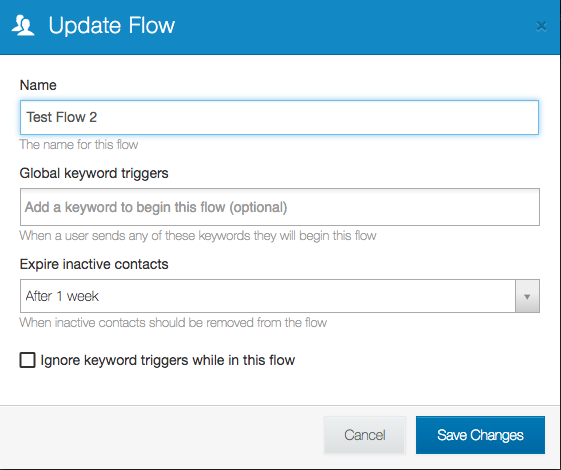 Go to your account page and click on the 'flows' tab in the upper right-hand corner. 2. Select the flow you'd like to copy. That's it! 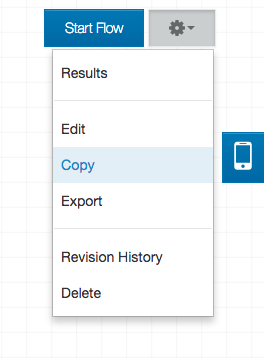 You will automatically find yourself in the flow editor of the copy of your flow. By default, it is named 'Copy of [flow name]'. Learn more about navigating the Flow Editor here.